You arrive at noon just in time for lunch. 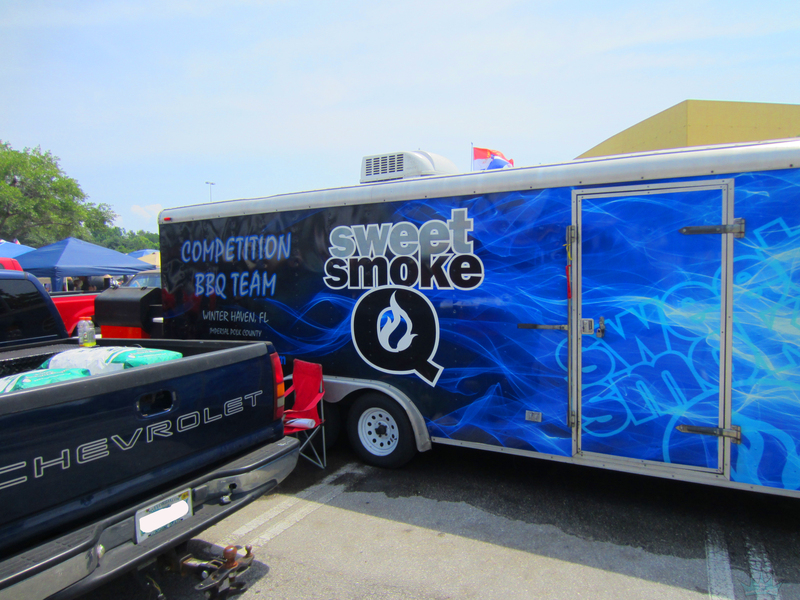 You get out of your car and are immediately hit with the sweet smell of Barbecue smoke. 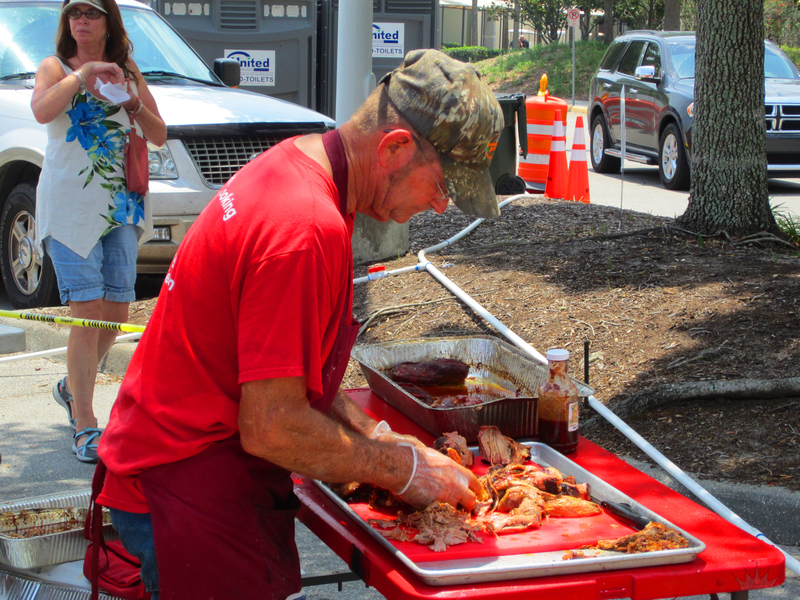 Seventy-one Barbecue competitors all stuffed side by side into one giant mall parking lot. 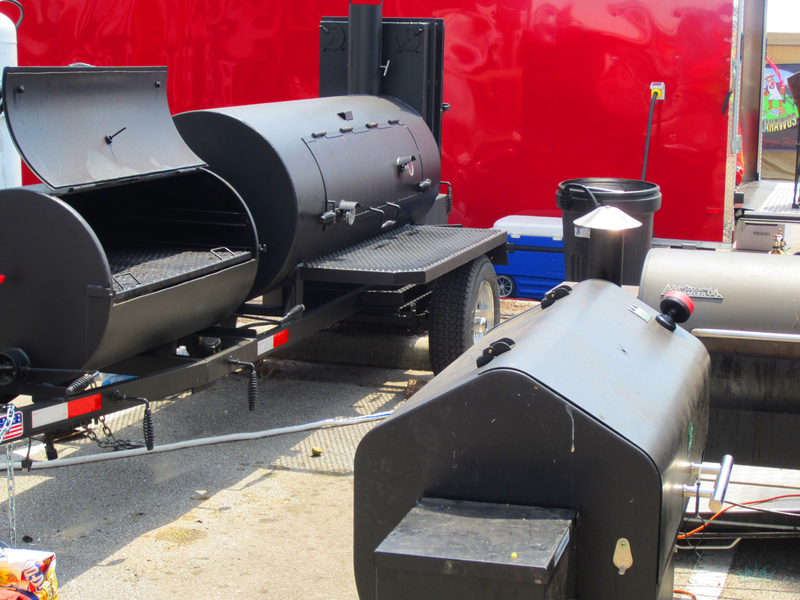 You could be sure that there would be a lot of beef brisket, pork shoulder, pork chops, beef and pork ribs and burnt ends along with meat on a stick for miles. 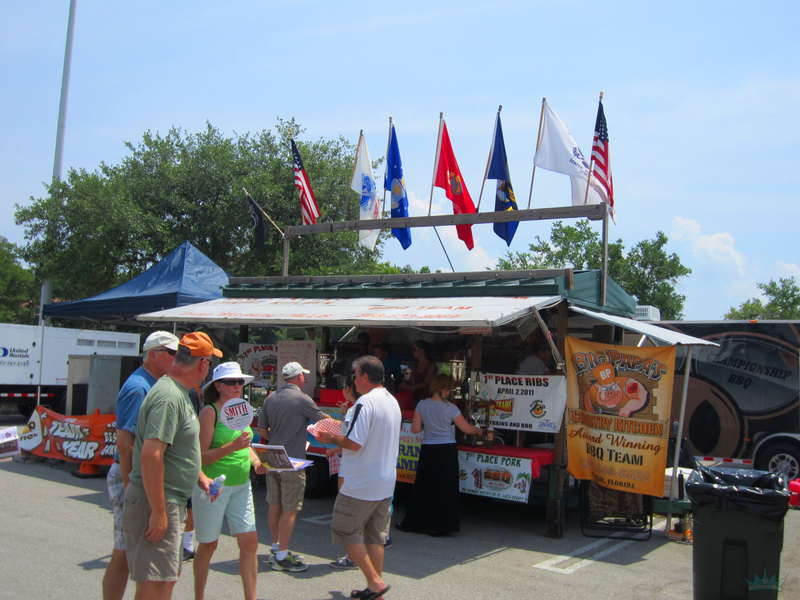 You could also imagine that you could walk from Barbecue tent to Barbecue tent, purchasing and tasting some of the delicious wares. Well, you’d be incorrect and I’ll explain shortly. 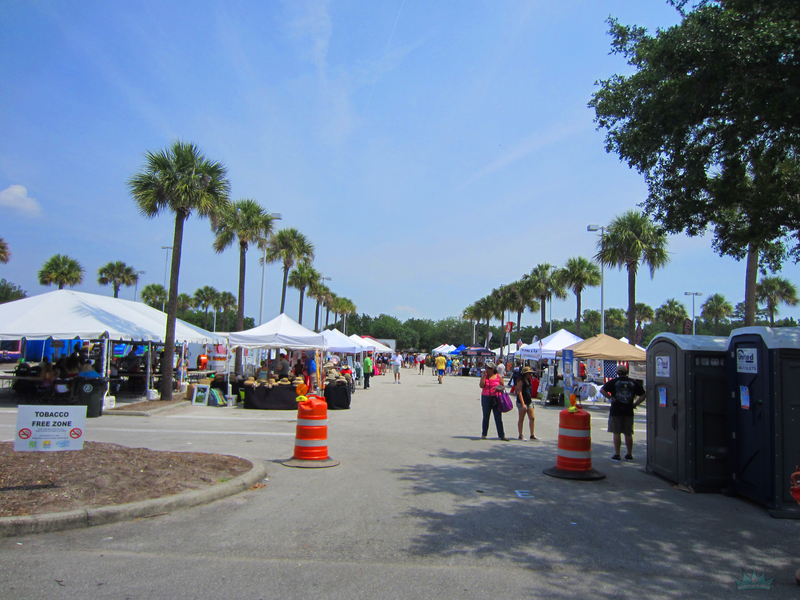 The event was only the 2nd annual, so even though one side of the parking lot at the Oviedo Mall (just Northeast of Orlando) was full, it has room to grow for sure. 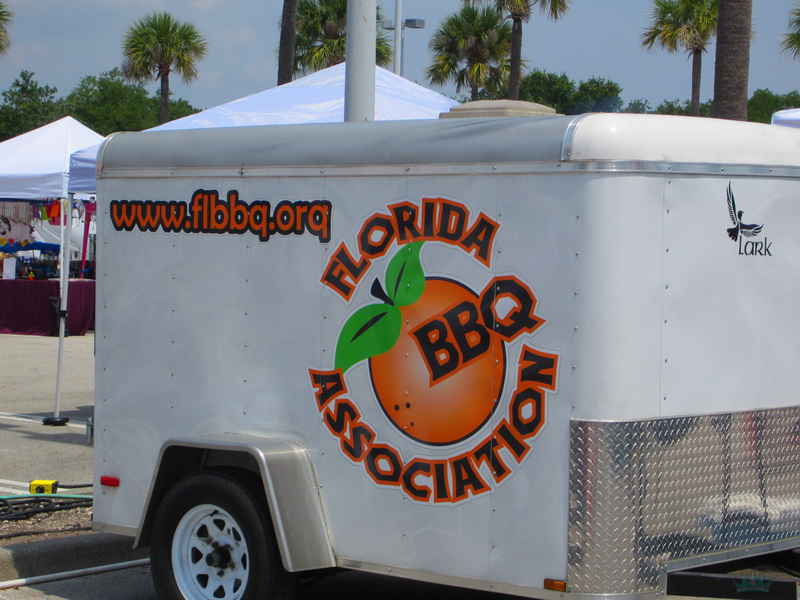 Put on by the Florida Bar B Que Association, it featured 71 teams of barbecue professionals from around the country. 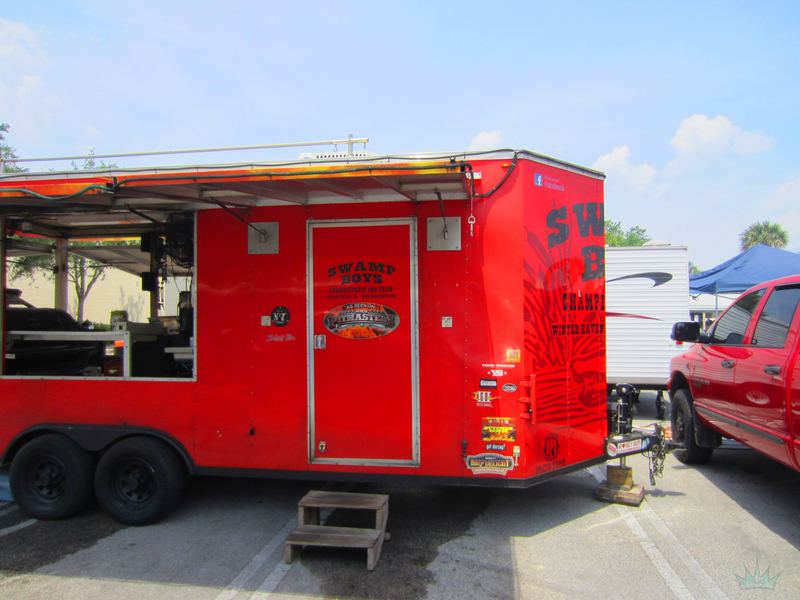 If you have ever watched the show BBQ Pitmasters, you’ll recognize this team and truck – The Swamp Boys from Winter Haven, Florida. After our experience this past weekend, the Queen and I ended up watching several episodes yesterday and learned a great deal about how these competitions work. So let’s chat about why your (and my) vision of moving from tent to tent eating was incorrect. To be blunt, these guys are here to win money – plain and simple. They’re not there to sell their wares. We were not aware of that and to be quite honest, I doubt we would have made the 3 hour trip had we known there would be only seven out of seventy-one teams selling their Barbecue. 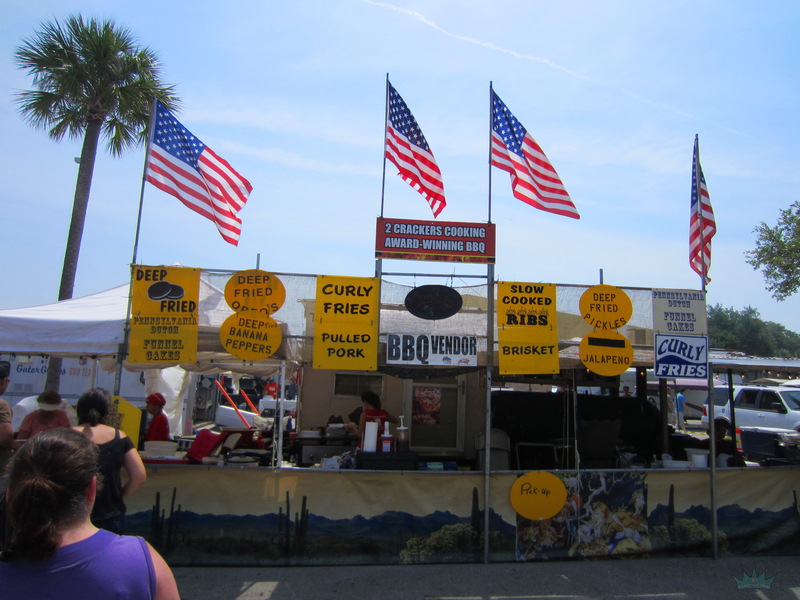 There was literally one row along the main drag where you could purchase Barbecue. Make no mistake though, it was GOOD Barbecue. For one dollar, you could purchase a “Barbecue Buck”, which was how we were told was how you had to pay. Thinking it would be an all day eating fest, I immediately demanded the Queen buy $40 worth. Wrong move. 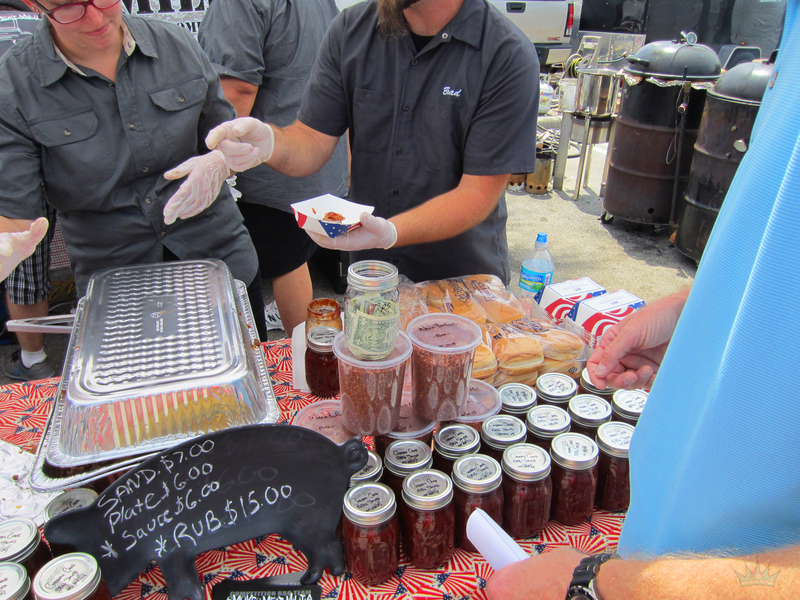 This team had a ridiculously delicious Barbecue sauce made from Cherry Coke. Slap yo mamma good. I wanted that sauce. I handed them six Barbecue Bucks. Nope, cash only at this tent. Now I had $6 cash in my pocket. I had just dropped $40 in Barbecue Bucks and I’m told I can’t use them there. It’s the principle, ya know? So now, I was on the hunt for some top shelf Barbecue. Oh yeah, a Dirty Dog. Chopped beef, chopped pork, chopped sausage…..crammed in a hot dog bun. Come on, playa! 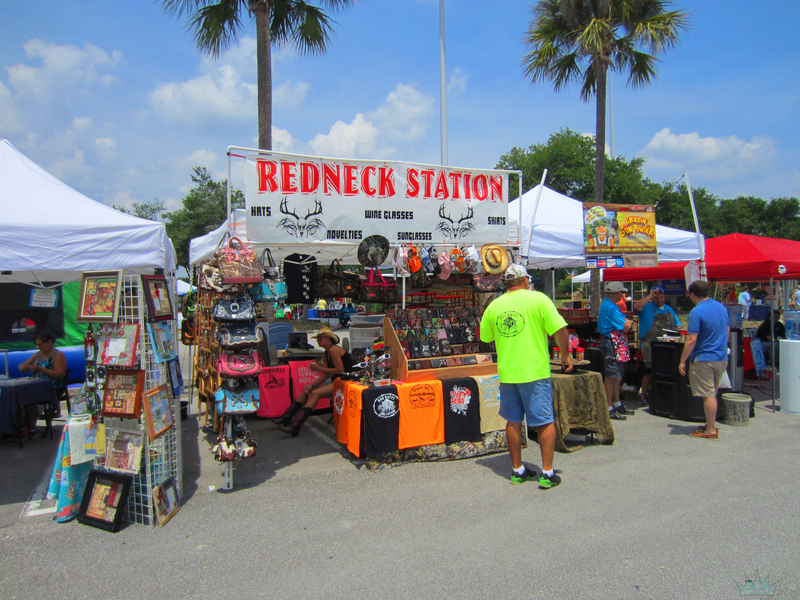 We walked along the main drag for a few more minutes, still thinking we would be at this all day and this particular booth below caught my eye. Actually, the three pictures of meat on a stick caught my eye. Drooling, I had to choose fast. Do I get the Pole Dancer – the perfectly grilled piece of pork belly on a stick? What about the Rib-Sicle – a delicious baby back rib on a stick? 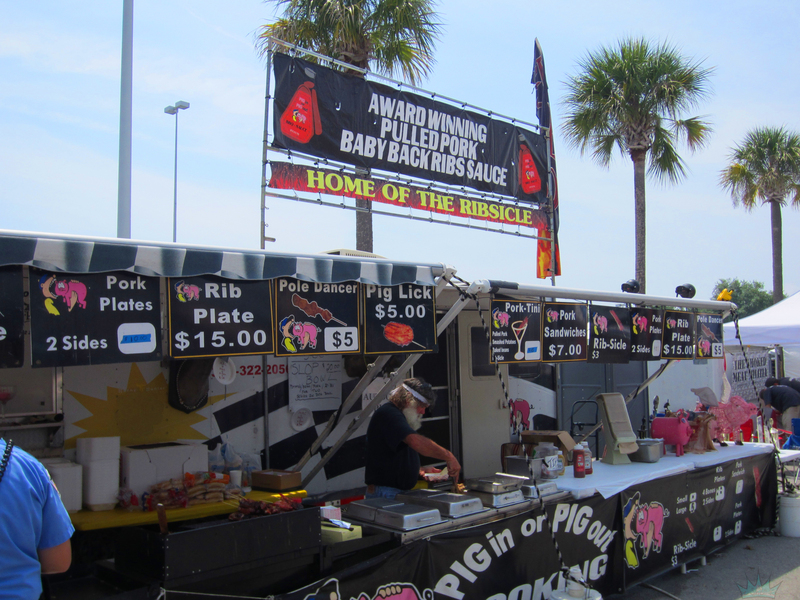 Or do I just go crazy and get the Pig Lick – an inch-thick smoked pork chop drowned in Barbecue sauce – ON A STICK? Ommmm nom nom nom. Yeah, top shelf. The Queen and I took turns biting into the succulent piece of pork as we scanned the line of Barbecue tents. Yes, I just used the word “succulent”, because it was that. We settled on a place called Big Papa’s Country Kitchen, who ironically is from our neck of the woods down in Naples, Florida. They’re a 25 time Grand Champion, and it showed. We settled on the pulled pork. I didn’t know at the time that they were voted Best Ribs in America. If I had, I would have definitely had the ribs. The pork was delicious. It had great smoke and was cooked perfectly. It was like sweet ambrosia in your mouth. The Barbecue baked beans and cole slaw set it off. A fantastic plate of real, true Barbecue. Big Papa’s also offers a two day Cooking School course. So if you’re wanting to master the grill and learn how to make perfect Barbecue, perhaps a visit might be something in your future. 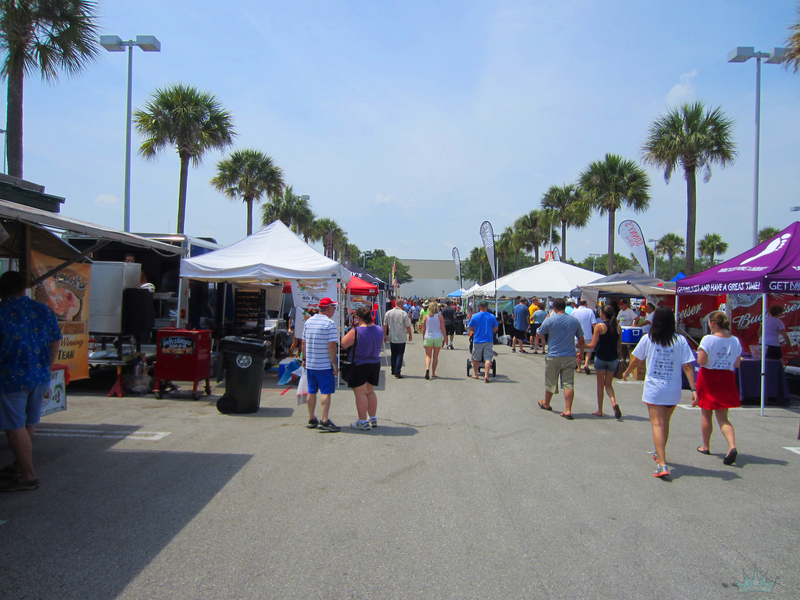 We walked around the event, checking out the other competitors when we realized they weren’t selling Barbecue to the public. To say we were disappointed would be an understatement. I take full blame for not knowing what we were getting into. 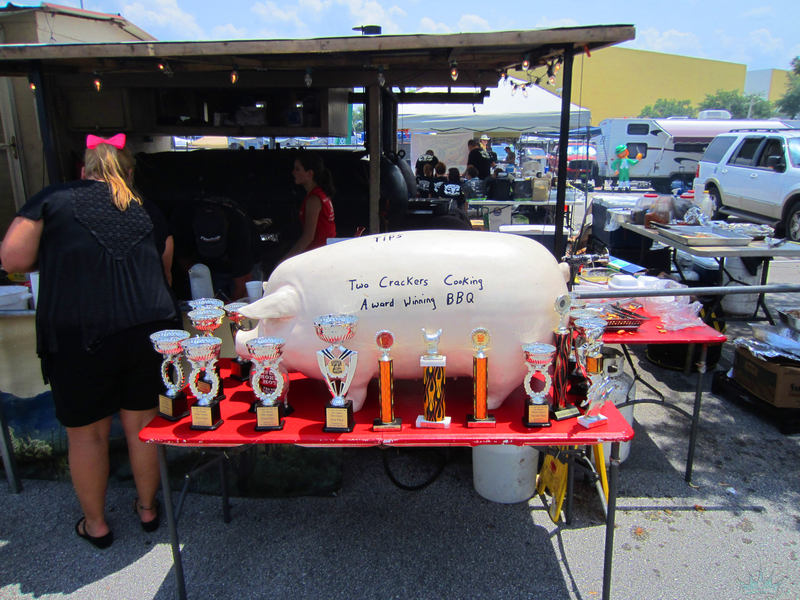 Next time there is a Barbecue festival, I’m going to do my due diligence and research. Hey, not all festivals are gonna be smash hits. Some of them are learning experiences. It was a three hour drive that included about $25 bucks in tolls round trip. We didn’t stay very long (about 2 hours in all) after finding out that there was only one strip with vendors. Bummed out, we made our way towards the car. As it’s well known here at SK dot com, I have a thing for meat on a stick. Queenie on the other hand? Funnel Cakes. So as soon as she saw the sign offering them up, she jumped in line. 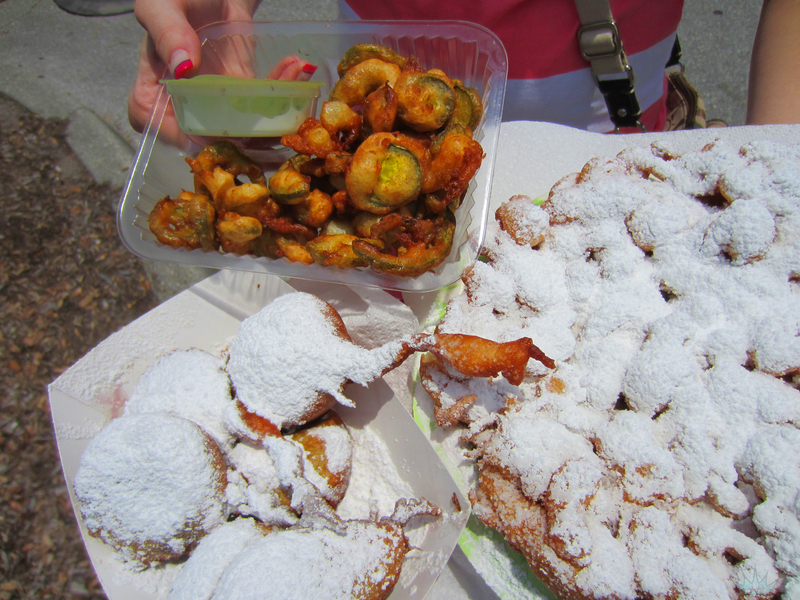 We still had a handful of Barbecue Bucks to burn before we rolled out, so we decided to blow them all on some deep fried goodness – a Funnel Cake, some deep fried Jalapenos and six deep fried Oreos. The Oreos were melt in your mouth (quite literally, too) delicious. So…lesson learned this time around. Because of the type of people we are, we didn’t let this one get us down. We still had fun as always and laughed all the way there and all the way home. 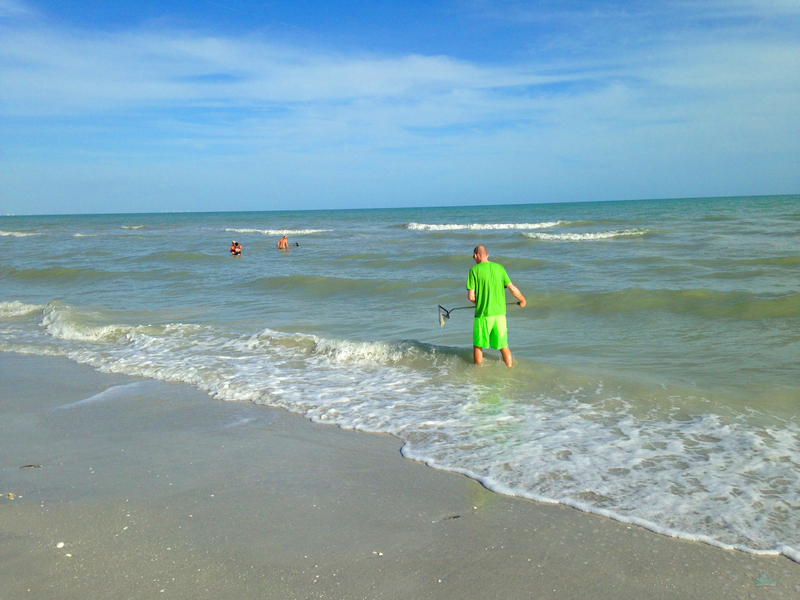 We considered making a stop at Indian Rocks Beach on the way home for a quick shelling trip, but decided we were just too tired and worn out. 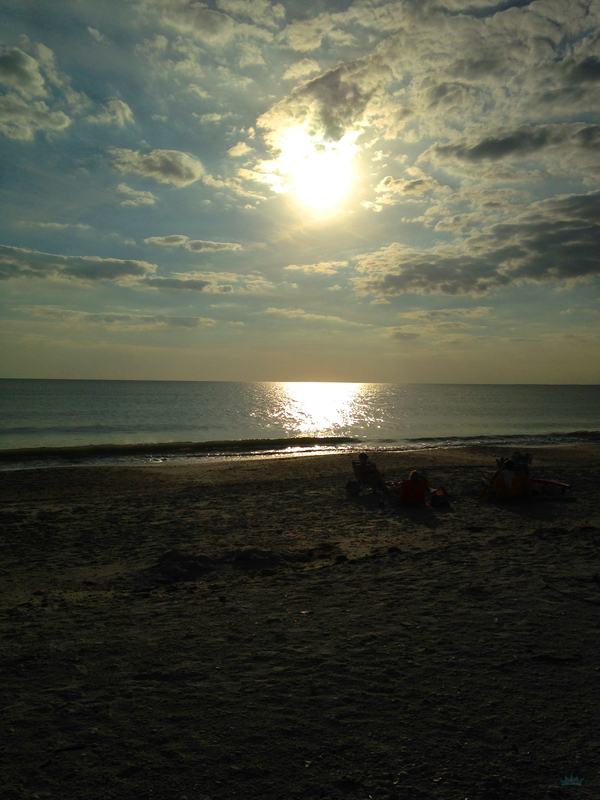 Word to the wise – if you decide to take a long trip to an event and it’s not what you expected, it’s a good idea to have a backup plan – one that includes your beach bag and a quick change of clothes. Will we go to this event next year? Perhaps. But if we do, we will also make sure to find something else fun to do in the Orlando area. I’ve been doing a lot of thinking lately. When I start thinking too much about a particular subject, oftentimes I tend to take it to the extreme; in other words, I obsess about a topic. Being a Type A personality, when I obsess about a topic it means I go full throttle until I either accomplish my mission, get bored or I don’t see immediate results/change. Once I get that out of my system, I move onto the next thing to think (obsess) about…and the cycle repeats itself. I’m a hurrier. Hurry up so we can move to the next topic and hurry up with that one once we get there. I’m a man of little patience when it comes to goals. I have to get it done NOW and I can’t wait! By the grace of God, I have been able to accomplish more missions than fail, and I am thankful for that. And bless the Queen’s heart – she stands by and supports me in whatever I do, even though I tend to be a bit manic when I’m on one of my “missions”. This latest mission – the gym. I recently saw some pictures of myself shirtless; You know how it is at SK dot com – Suns Out, Guns Out. Only this time, the guns didn’t appear to be loaded. So I’ve been hitting the gym 6 days a week now for about 5 weeks. Cardio on Monday, Wednesday and Friday. Weights on Tuesday, Thursday and Saturday. I’m an early riser, so at 4:45am I’m up and by 5am I’m in the gym. Needless to say, I’m tired and impatient. In the past, I’ve noticed small changes. But these changes weren’t happening for me as quickly as I wanted. So I worked harder, not smarter. By 10am, I’d realized that I’d overdone it. Then, as quickly as I started, I quit. Not this time around. This time, the Lord is teaching me patience. It didn’t take a week for this little roll to form around my belly. It took months and months of delicious donuts, french fries, greasy cheeseburgers and lazy Saturdays. The guns didn’t deflate overnight, so I won’t be ripped and cut by Thursday. Maybe Thursday, December 18th, but not this Thursday. I keep telling myself that every time I take my shirt off and don’t immediately hear Handel’s Messiah. I was diving with my good friend, Donnie this past weekend. 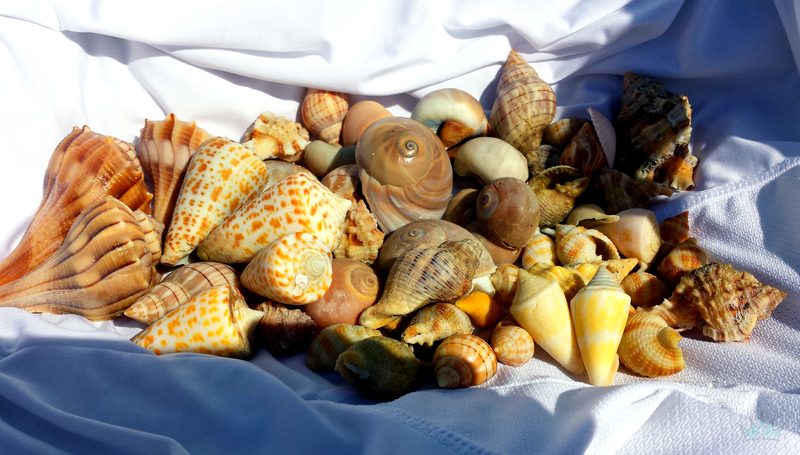 Donnie is a beast in the water and hands down the best sheller I have ever met. The man knows the tides and how the water works and he has eyes like an eagle. The Jedi of the sea, if you will. Me, not so much. He’s been at it for years and has shown me so much in just the last two months (Thank you, D). However, the hurrier in me expects myself to be on his level immediately. Not in a competitive way – I do not compete with anyone but myself. But he has set the bar and I want to reach that bar. In the words of Master Yoda, Patience, I do not have. As I was diving, hurrying as I normally do, I wasn’t finding anything super spectacular. 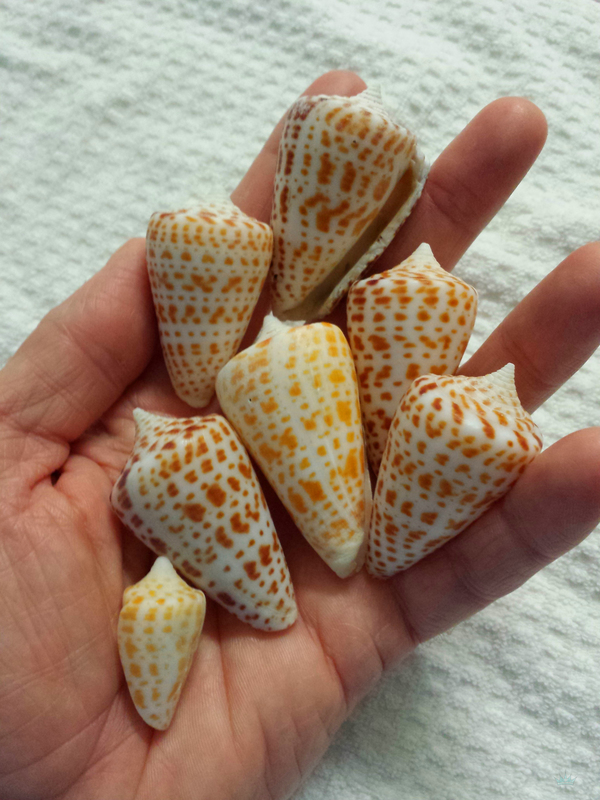 The occasional Shark’s Eye….an Apple Murex….a Lightning Whelk.I was getting frustrated after only a few minutes. That’s because I wasn’t being patient. 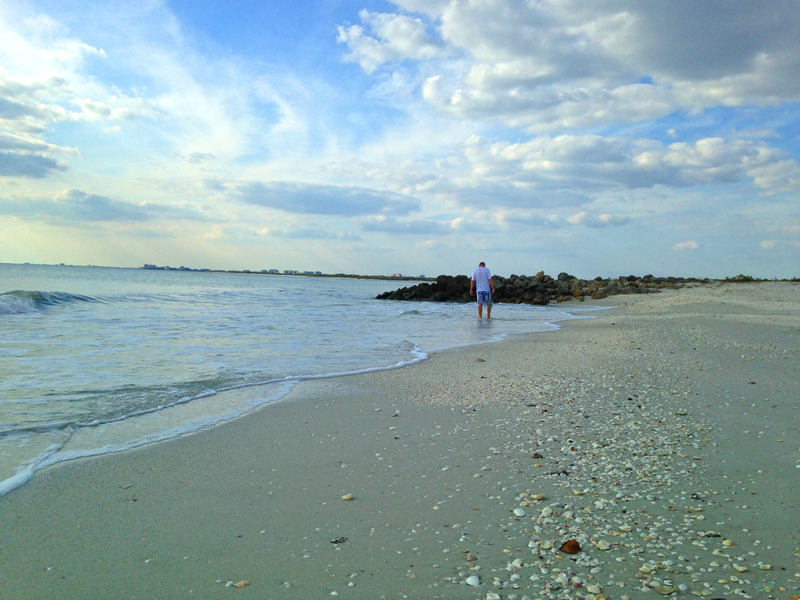 Then I felt a peace as I was in the water…..”Be patient”, the still small voice said. I surfaced and waited. After a minute or so of pondering that thought, I grabbed a deep breath, dove down and at my feet was a really nice Alphabet Cone. Patience. Had I not been patient, I would have swam right over the thing. 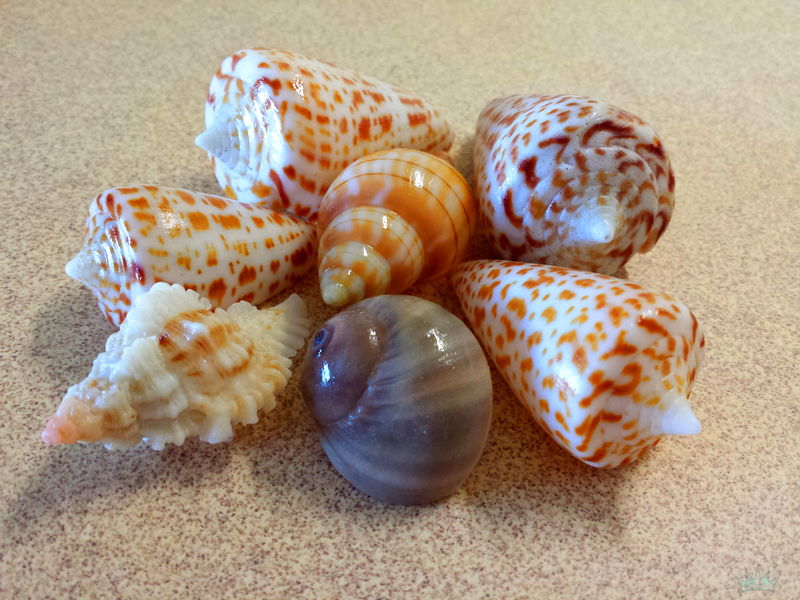 But patience allowed me to fill my shell bag that day. It was more full at the end of my dive than it had been in a few weeks. Goals are accomplished not just with hard work, but hard work and consistency. Patient consistency. If you have a goal and you don’t see results right away, don’t quit! Be patient and you will get there. They say patience is a virtue. A virtue is a behavior. Behavior is a learned trait. Be virtuous and learn to be patient. You will eventually accomplish what you set out to accomplish if you work hard, are patient and stay consistent. Jacob waited 7 years for Rachel. I can wait six months for pecs like a Greek Adonis. As my friend K-Lee says, “Never Give Up”.